Indian shooter Sanjeev Rajput clinched a silver medal in the men's 50m Rifle 3 Positions event at the 18th edition of the Asian Games 2018. 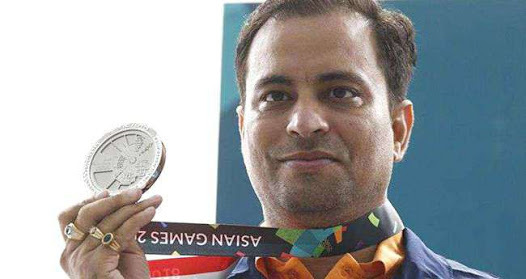 The 37-year-old Indian shooter Sanjeev Rajput shot 452.7 to claim the silver medal. China's Hui Zicheng wins the gold medal with a score of 453.3. Japan's Matsumoto Takayuki bagged the bronze medal with 441.4.